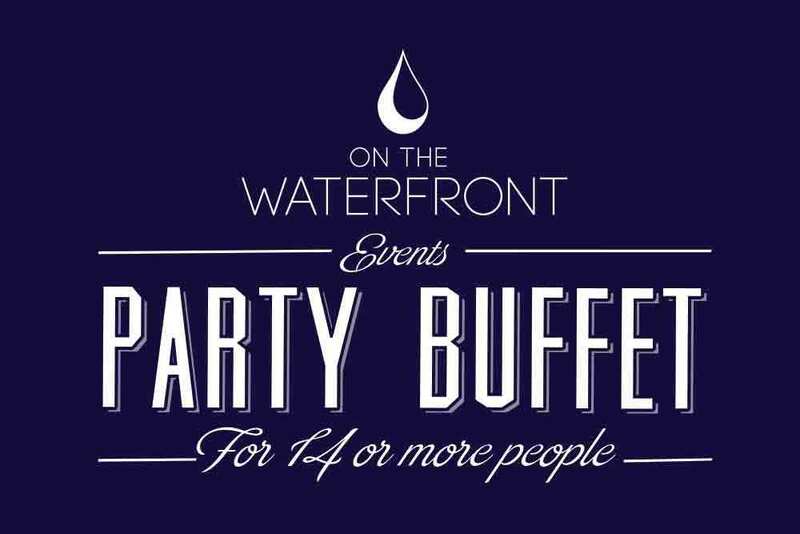 Our buffet menus take all the stress out of organising large parties and events. Just choose which buffet menu you prefer and the number of courses you would like, and we will do the rest! Food is brought to your table so you are able to stay seated and can focus on enjoying your night with your friends. We cater for different dietary requirements (including gluten free and vegan), so please just ask! 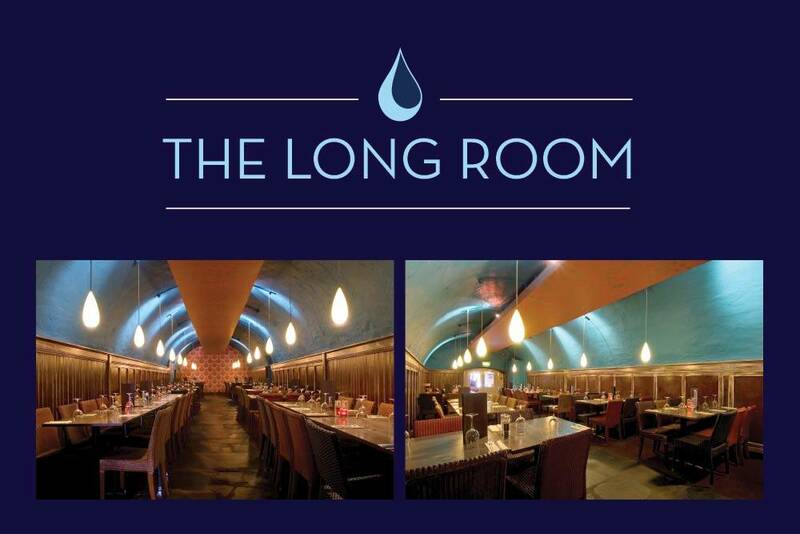 We can offer free and exclusive all day room hire of our Long Room from Monday to Thursday, for those eating with us. Alternatively, if you are simply looking for a conference room to host your own event, we can offer room hire from £250 for the day, in one of Exeter’s premier pubs. Why not combine your room hire with one of our delicious buffet packages? Drop in and speak to any of our staff to discuss your needs, or enquire below. We’re not all about pizzas — we also offer a tempting selection of tapas dishes. 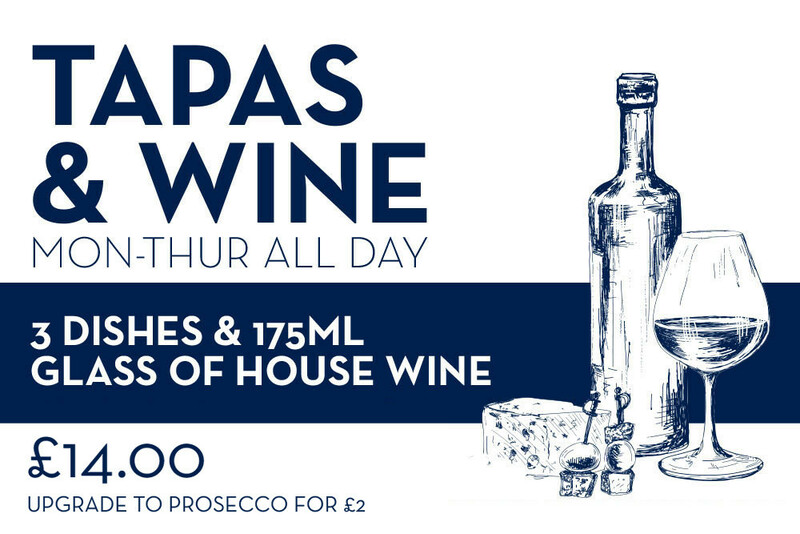 Our offer of 3 tapas dishes plus a 175ml glass of house wine is £14.00 and runs Monday to Thursday from 12pm. Perfect for sharing with friends! 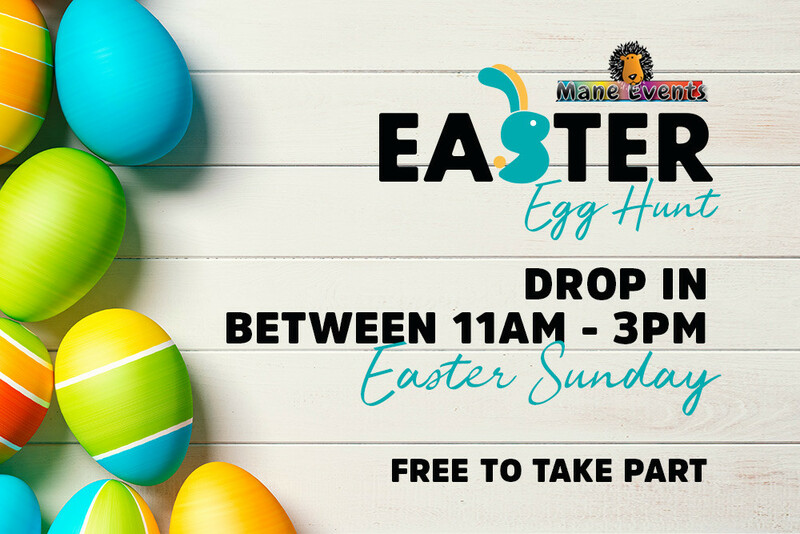 Drop into On The Waterfront on Easter Sunday between 11am and 3pm to join us on an Easter Egg hunt around the beautiful Exeter Quayside. Involving a short walk around the quay and suitable for ages 10 and below, there will be prizes for the children who complete the hunt!